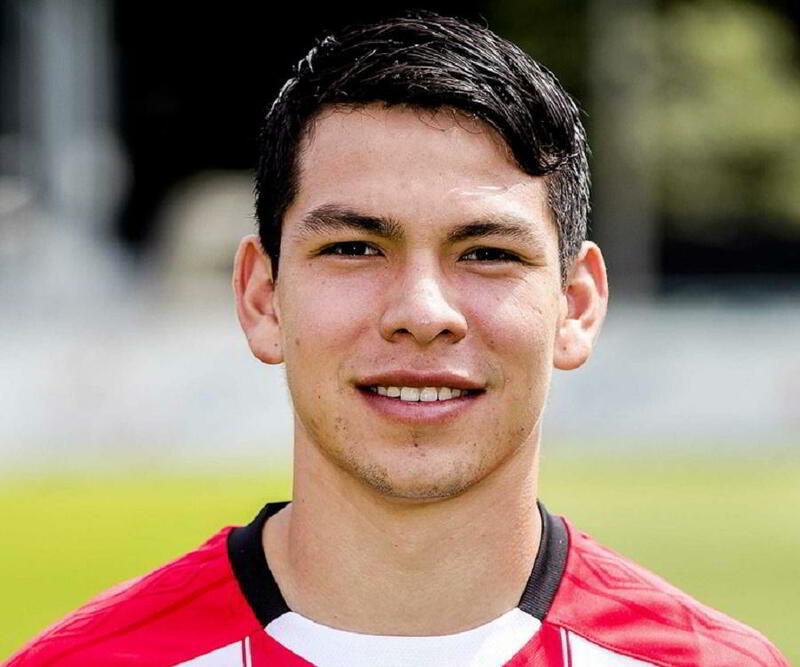 Hirving Lozano is a Mexican professional footballer. Check out this biography to know about his childhood, family life, achievements and fun facts about him. 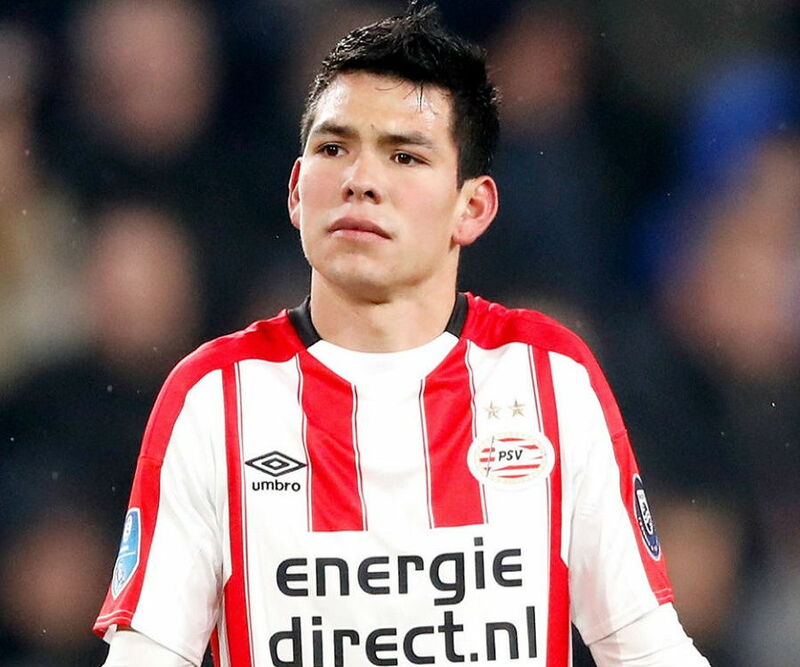 Hirving Lozano is a Mexican professional footballer who currently plays as a winger for Dutch club PSV Eindhoven, as well as the Mexico national team. He previously played for the Mexican professional football team C.F. Pachuca, where he spent five seasons with the youth team before making it into the senior squad. He has made 149 appearances for Pachuca's senior team, scoring 43 goals, and has also scored 15 goals for PSV Eindhoven in just 27 appearances so far in less than a year since he signed to the club. He has scored seven international goals for the Mexican senior team in 24 appearances to date. A right-footed player, he is known for playing on the left side for the majority of the time on the field. A talented classic inverted winger possessing great power in his right foot, he has often proved himself dangerous for the opponent defense while shooting after cutting in from the left-hand side. It has recently been reported that Premier League club Arsenal is considering a £30million deal to get him signed to replace their striker Alexis Sanchez who left for Manchester United. 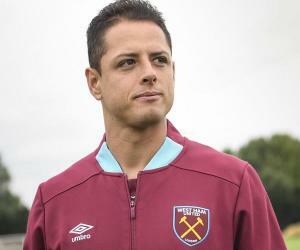 He has been included as a player in the FIFA 18 video game in its Career Mode. Hirving Rodrigo Lozano Bahena was born on July 30, 1995 in Mexico City, Mexico to Jesús Lozano and Ana María Bahena. He has a younger brother named Bryan Mauricio Lozano Bahena who is also a footballer and plays as a midfielder for Club Universidad Nacional. Hirving Lozano joined the youth team of Mexican professional football team C.F. Pachuca in 2009. He played in the junior ranks of the club for five seasons before his senior team debut. On his Liga MX debut against Club América as a substitute on February 8, 2014, he scored his first goal within five minutes of entering the field to secure a 1-0 win. Playing his debut tournament, the Clausura 2014, with Pachuca first team, he scored the last goal to secure a 3-2 win over León on their home ground despite conceding two goals earlier. They unfortunately lost the return final match to León by 2-0 and finished the tournament as runner-ups. However, the team once again reached the final of the Clausura 2016, in which they defeated Monterrey 2–1 on aggregate in the finals to clinch the league. Reaching the Clausura finals allowed them to qualify for the 2016–17 CONCACAF Champions League, which they also won by defeating fellow Mexican club Tigres UANL in the finals in April 2017. Lozano scored eight goals in eight matches and was awarded the Golden Boot as the highest scorer, along with the ‘Best Young Player Award’. It was announced on June 19, 2017, that he had signed a six-year contract till 2023 with Dutch club PSV Eindhoven. Confirming the deal, PSV Football Director Marcel Brands revealed that they are happy to have the youngster into their fold after six months OF long grueling negotiations. His competitive debut for PSV was against Croatian side Osijek in the Europa League qualifiers, in which the team failed to make the group stage due to a 2–0 aggregate score combining both legs. He started for PSV on his Eredivisie debut against AZ Alkmaar on August 12, 2017 in which he scored a goal in the team's 3-2 win and received standing ovation from fans on his 84-minute substitution. The following week, he scored his second goal and assisted in another against NAC Breda, which PSV won with a 4-0 margin. He scored again the next week to secure a 2-0 win for PSV against Roda JC, and became the first player to score three goals in his first three matches for the team. With consistent performance, he was named ‘Eredivisie Player of the Month’ for the month of August. However, he received his first red card the following month in a game against SC Heerenveen, which PSV lost by 2-0. Playing for the Mexican national U-20 team, Hirving Lozano participated in the 2015 CONCACAF U-20 Championship, in which he scored a brace and assisted in four more goals in the team's first game against Cuba. Mexico won the tournament for the 13th time and secured a berth for the under-20 World Cup in New Zealand, while he finished with a total of five goals to earn the Golden Boot. On September 18, 2015, he was selected by Mexican U-23 coach Raúl Gutierrez to play in the CONCACAF Olympic Qualifying Championship, which the team won by 2-0 defeating Honduras. 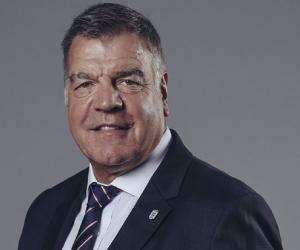 During the Summer Olympics in Rio de Janeiro, Brazil, the following year, he was sent off in stoppage time after shoving a Korean player in their third group match, which they lost and were eliminated. On February 10, 2016, he made his national debut for the senior team, under coach Juan Carlos Osorio, as a starter in the friendly against Senegal, assisting in the second goal in a 2-0 win. He scored his first international goal for Mexico in the 2018 FIFA World Cup qualifying third round match against Canada and helped the team to a 3-0 win. 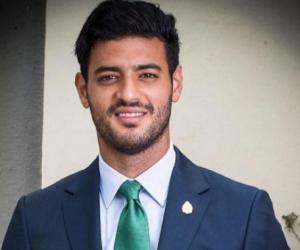 He played for Mexico in the 2017 FIFA Confederations Cup during which he scored the winning goal in the 2-1 win against hosts Russia in the final group stage match. He chased a long clearance from Héctor Herrera and beat goalkeeper Igor Akinfeev to the ball towards the edge of the box to score into the open net. Hirving Lozano helped his club C.F. Pachuca win the Liga MX: Clausura 2016 and the CONCACAF Champions League during the 2016–17 season. On the international stage, he led the Mexican team to the CONCACAF U-20 Championship and the CONCACAF Men's Olympic Qualifying Championship, both in 2015. He shared the Golden Boot with United States midfielder Romain Gall in the CONCACAF U-20 Championship in 2015 and was named into the Best XI of the tournament. The same year, he received the Golden Ball at CONCACAF Men's Olympic Qualifying Championship and was named to the Best XI of that tournament as well. In 2015, Don Balón, a Spanish weekly sports magazine specializing in football, named Hirving Lozano one of the best players in the world to be born after 1994. FIFA named him in their list of young stars of 2017 and he was named among the top Eredevisie young players to watch for the 2017–18 season soon after his arrival to PSV Eindhoven. Hirving Lozano is nicknamed ‘El Chucky’ after the eerie doll of the 'Child’s Play' horror film series. He reportedly got the moniker during his youth career when he used to hide under the bed on road trips and scared his teammates by randomly jumping on them.